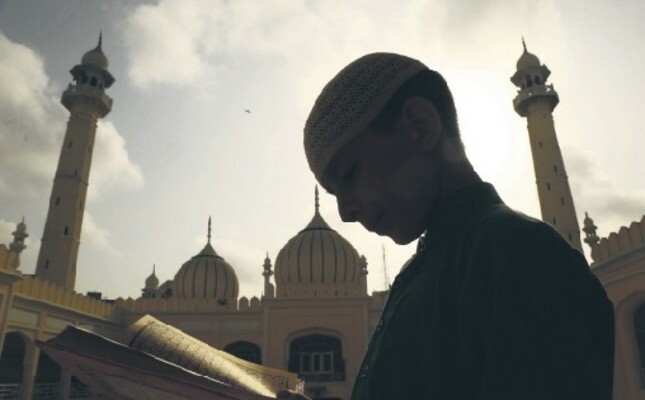 A Pakistani boy reads the Quran in Karachi. The idea that helping others is part of a meaningful life has been around for thousands of years. For Muslims, charity is a central aspect of their faith and practice. In Islam, a culture of giving is interwoven into the fabric of its forms of worship. Helping the poor is a religious mandate. The traditions of humanitarian stewardship and egalitarian values are at the foundation of Islamic beliefs. Governed by a worldview in which all things come from God and finally return to God, Muslims are taught to live as trustees of God's blessings. Islam is a way of life, and one important facet is the duty to serve those who are less privileged than us. The equitable division of the wealth of society and the bounty of the earth between all people regardless of their social station through the instrument of charity is seen not just as an act of piety but a cardinal obligation for Muslims. Ramadan is the focal point of philanthropy: during this month, Islam's obligation to give to the poor intensifies. Muslims are taught to live as trustees of God's blessings. Along with fasting and prayers, charity is also a cardinal act of piety. The Quran provides both a spiritual framework for the possession of wealth and practical guidelines for its dispensation. The Quran says if we believe all things ultimately belong to God, it is necessary to spend everything in accordance to the plan of God. Frugality in our own lives and generosity with others underpins the Quran's message of charity. In the Islamic faith, five foundational goals - known as Maqasid al Sharia - include the protection of faith, progeny, life, wealth and intellect. According to the rules of the Quran, all Muslims, for whom zakat is mandatory, must donate at least 2.5 percent of their assets each year to poor, destitute and other underprivileged people - classified as "mustahik." The 2.5 percent rate only applies to cash, gold, silver and commercial items. There are other rates for agricultural and mining products, and for animals. In Islam, spending for the sake of God purifies the heart of the love of material wealth and sharpens benevolence. In a way, the man who spends his wealth reaffirms the truth that nothing is dearer to him than the love of God and that he is fully prepared to sacrifice everything for his sake. Deeply embedded in the Islamic concept of zakat are the notions of welfare, altruism and justice which can be seen as a way of harnessing human potential to resolve insurmountable challenges to human society. In other words, charity and altruism are rooted in the basic concern for the welfare of others, while Islam has added to it the notion of justice, which is seen as a way of building a just and equitable society. In the Quran, the significance of zakat appears to be equal to prayer as an expression of faith. The two are often mentioned simultaneously in the symmetrical rhythm of the holy book's verses. It is the human predilection for riches that the Quran cautions against, yet it acknowledges that spiritually immature souls may jeopardize their own moral standing by indulging in reckless acts of charity that leave them destitute. Some verses [including Quran 17:29 and 25:67] speak of maintaining a balance between extravagance and parsimony. This is in recognition of human nature, which has the dual impulses of compassion and an inherent love of wealth. In this way, Islam's legal teachings counsel temperance and prudence; whereas Islam's spiritual teachings urge selflessness and generosity. In the Islamic paradigm, charity is not restricted just to money or physical goods. It also covers all actions based on a simple understanding that what really ties an individual to a common humanity is compassion. A well-known saying of Prophet Muhammad illustrates the importance of every part of a person's body performing a charity. "A charity is due for every joint in each person on every day the sun comes up: To act justly between two people is a charity; to help a man with his mount, lifting him onto it or hoisting up his belongings onto it, is a charity; a good word is charity; and removing a harmful thing from the road is a charity." (Al-Bukhari, Muslim)The real magic of giving lies in the way you give. It must not be with an eye on the returns; giving with motives attached not only nullifies one's own happiness but also burdens the receiver. After planting your seeds, you should expect absolutely nothing in return. It is nobler to follow the biblical injunction, "Let not thy right hand knows what thy left hand doeth." When you give to someone with no strings attached you are as nourished as the receiver. Kahlil Gibran emphasizes that we should give with our whole being, with our whole heart, a pouring out of our entire love -- remember, half a seed cannot germinate. He writes in "The Prophet," "You give but little when you give of your possessions. It is when you give of yourself that you truly give." He further suggests, "Give while the season of giving is here so that your coffer is not empty when you die."